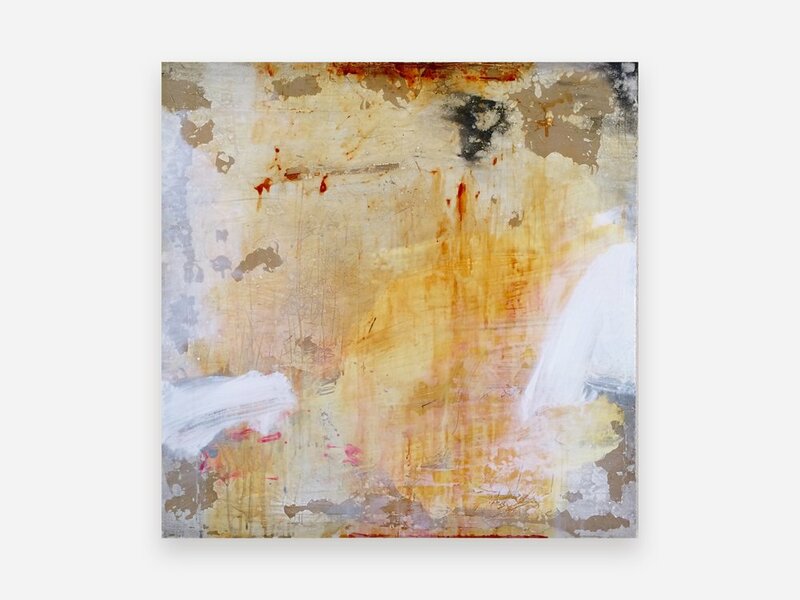 KOREY is an established abstract painter located in Portland, Oregon. Korey Gulbrandson was born in Portland, Oregon in 1973. HIs artistic talents were recognized early when awarded a seven foot toy-stuffed stocking from a local drawing contest. Korey discovered painting later when he happened upon a cache of old oil paints, and found his destiny. Based in Portland for the last two decades Korey’s work has gained significant local popularity and a loyal patronage. His signature self taught style is a result of remaining continually informed by each of his paintings. Each piece starts with a hand crafted wood canvas and evolves with an accumulation of layers, manipulating wax and various mediums. Using a torch and carving tools Korey scribes and removes the layers, this technique creates an exciting and surprising plane of texture and color.